I think it's both bear and seal. a bear and the sealish thing is the water? its a seal and a polar bear!!!!!! !wow!datz amazzimg.NOT!!!!!!!!!! 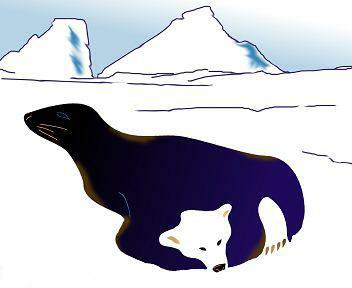 i dont get it a seal and a polar bear drowning in it? omg that poalar bear is sooooooooooooooooooo cute!!! I think it is a seal putting a polar bear in a headlock! !